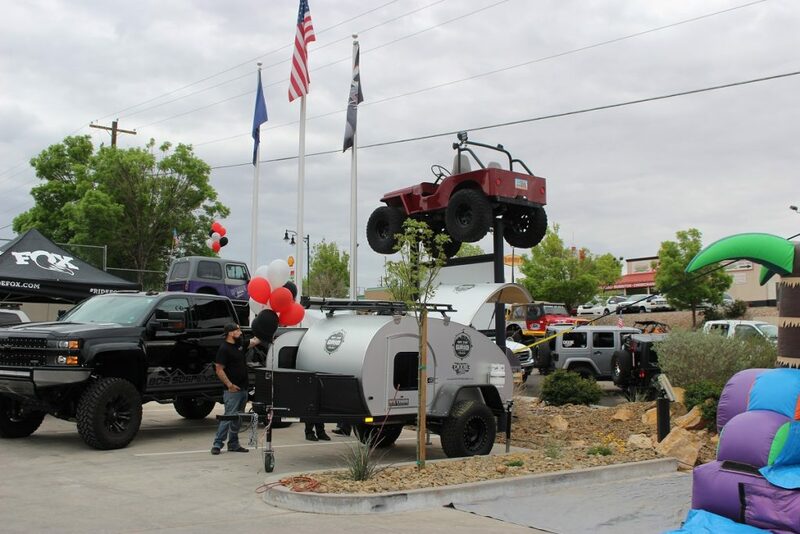 ST. GEORGE – Dixie 4 Wheel Drive celebrated the grand opening of its new 12,000-square-foot facility this week with free food, festivities, trail rides and an impressive display of four-wheel drive vehicles in a state-of-the-art showroom. Grand opening festivities began Wednesday as Dixie 4 Wheel Drive hosted the St. George Area Chamber of Commerce “Meet the Chamber” luncheon and social from 11 a.m. to 1 p.m. On Friday and Saturday the celebration continued with a party at the new facility held from 10 a.m. to 4 p.m.
Watch the video at the top of this report. Located on the same property purchased by the Thompson family in 1948, the newly constructed facility was completed approximately three weeks ago, and since then the crew has been busy making preparations for the grand opening, Tara Thompson, Dixie 4-Wheel Drive’s general manager said. Dixie 4 Wheel Drive, 73 N. 900 East, St. George, is a full-service off-road superstore servicing Jeeps, SUVs, trucks, buggies and side by sides. 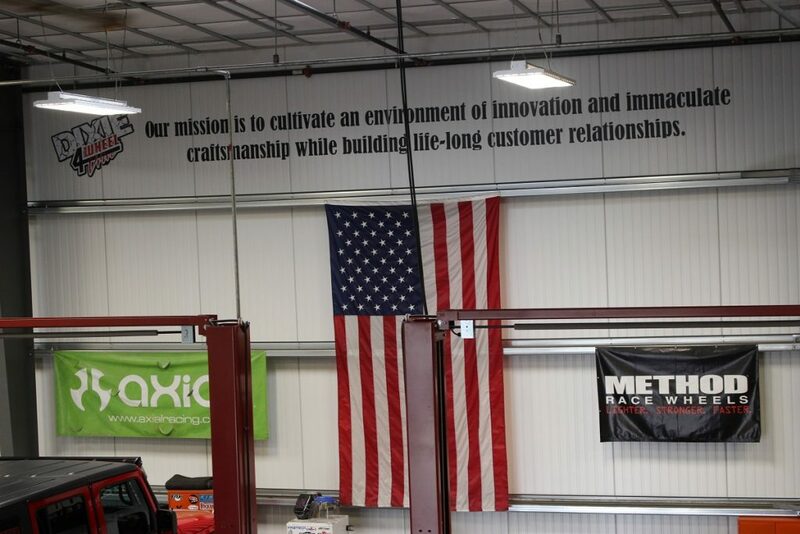 The newly constructed location includes a large hangar, hydraulic lifts in the showroom to display vehicles, five hoists in the maintenance shop and one in the wash bay for cleaning a vehicle’s undercarriage after a day of off-road activities – “to clean it from top to bottom,” Tara Thompson said. Customers from all over the country bring their vehicles to the facility, so the family wanted a showroom and service area that would reflect how the business has grown. The new building also has a big open door, open shop, offices, a conference room and it is much more inviting to customers. The additional space provides for a wider selection of products and services as well, Bryce Thompson, Dixie 4-Wheel Drive’s co-owner and vice president of business development, said. “We usually have a grand kick-off this time of year, so having the grand opening in the new building this week was perfect,” he said. The previous building was modified throughout the years to accommodate for the changes in business, and the family made everything work with what they had, Bryce Thompson said, but it was time to make a change. Additionally, St. George has so much to offer, with nice hotels, good restaurants, friendly people and clean environment that is attractive to visitors, he said, so the shop is optimally located right near St. George Boulevard. The increase in business and tourism ushered in the need to design and build a new facility, particularly after Bryce Thompson came on board in 2009, Tara Thompson said. With his drive and energy, the business continued to grow at a rapid pace. “Bryce took it to another level,” Tara Thompson said. The original building, erected in 1948, was built by Milt Thompson’s father and grandfather who opened a tile manufacturing business that crafted each individual tile by hand, Dixie 4 Wheel Drive’s co-founder and owner Milt Thompson said. In 1980 Milt Thompson started a furniture restoration and custom woodworking business in the building for the next 14 years, while also working part-time in the automotive business to earn extra income, he said. Later he closed the furniture business and put his energy into the automotive business full-time, and the operation continued to grow from that point on. He “wandered into the Jeep business by accident,” Milt Thompson said, after purchasing a Jeep that needed a great deal of work. That experience and changes in the off-road industry “fueled the company’s focus to where it is today,” he said. The customer base and business continued to grow, to the extent that many customers were booked out three to four months, Sharlett Thompson, co-founder and owner said, and then in 2007 the off-road business began to take off. More help was needed and Milton and Sharlett’s Thompson’s son Bryce Thompson came on board. Two years later, in 2009, he bought into the business. Within a short time the couple’s daughter Tara Thompson started with the company as general manager. She has run things from behind the scenes ever since, Sharlett Thompson said. 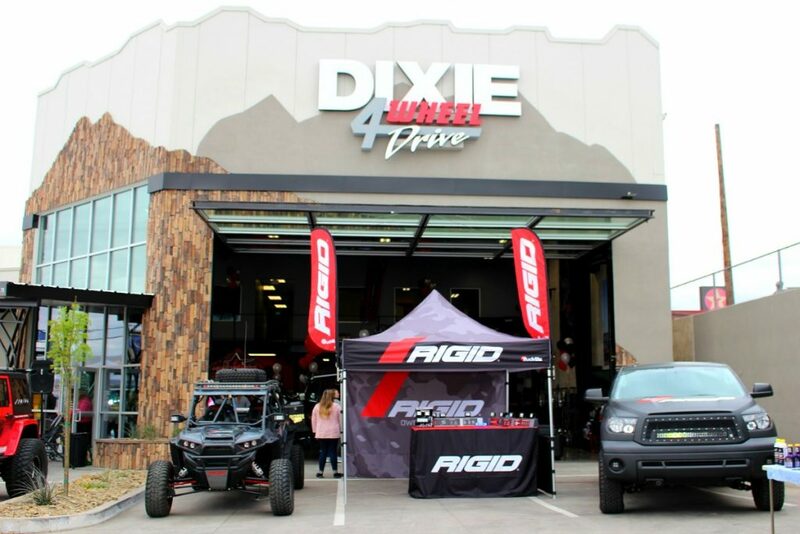 With the addition of two new business partners in 2015, Dixie 4 Wheel Drive is currently owned by Milt Thompson, Sharlett Thompson, Bryce Thompson, Albert Wada and Christine Wada. Dixie 4 Wheel Drive is managed and operated by Tara Thompson. For more information, visit Dixie 4 Wheel Drive online or call 435-673-2546.